Midwest Speakers Bureau is your resource for booking Iowa based keynote speakers, trainers and entertainers. There are many benefits to booking a local speaker or one within driving distance. 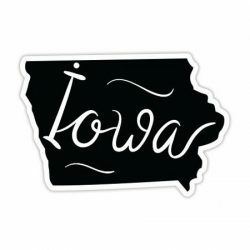 If you are looking for the following types of talent, here are a few of our favorites based in Iowa. Deadra Stanton: Deadra Stanton will make you laugh until you cry. Her message of humor and inspiration has been enjoyed by thousands of people across the United States. As she shares her stories of “life lessons”, she will inspire you to enjoy life, laugh at life’s situations and most of all….”Don’t Shoot Skinny Rabbits”. Click here for more information on Deadra. Terry Rich: Terry Rich is the retired President and CEO of the Iowa Lottery. During his tenure, he increased sales by over one billion dollars. He also served as President of the North American Lottery Association, which is responsible for helping states raise over 80 billion dollars for good causes and served on the board of Powerball as its audit chair. Under his leadership, the Iowa Lottery cracked the nation’s largest lottery fraud and for those efforts, he received the prestigious international Gambling Compliance Outstanding Achievement Award. Click here for more information on Terry. Bill Withers: Dr. Bill Withers is a unique speaker, facilitator, and workshop leader, and his love for “Aloha shirts” is only part of his story! Groups will benefit from his decades of prior business management and leadership experience, which is why he can relate to everyone from Gen Y/Millennials to Boomers and beyond, through all stages of career development. Click here for more information on. Lee Cole: Pure fun. Lee’s playfulness and spontaneity give this magic show the feel of a stand-up comic’s. He uses every thing and every one in the room. A positive and lively presentation lifts spirits and turns a roomful of strangers into friends. The star that has guided his 30-year globetrotting career is: Know your audience. Lee offers a living, breathing, once-in-a-lifetime experience. Click here for more information on Lee. Celina Peerman: Dr. Celina Peerman serves as an organizational behavior specialist with over 22 years of experience from front line to senior level positions, in a wide range of industries and organizations, including higher education. She is passionate about engaging our human resources in new ways in order to achieve even better organizational results. Click here for more information on Celina. Michele Matt: Each year since 1984, Michele has inspired the attitudes and actions of thousands of people around the world through customized learning experiences, dynamic keynote presentations, strategic business planning and organizational development. As a dynamic and highly effective communicator, clients appreciate her unique ability to challenge the minds and touch the hearts of people at any level within a company, from the board of directors to the front-line team members. Click here for more information on Michele. Chuck Long: Chuck Long’s name has been synonymous with University of Iowa football for thirty years. As a former player and coach, his combination of charm, charisma and a winning attitude has motivated hundreds of young athletes and influenced multitudes of fans across the state of Iowa and beyond. Click here for more information on Chuck. Jim Miller: When Coach Jim Miller speaks about his story, people love to hear about the “Sustained Success” Month after Month, Year after Year, and even Decade after Decade.. Coach came into an underperforming program that had not won a Conference Championship in 15 years to Winning 21 in a row, and then placing 1st or 2nd in the NATION 18 of his 22 years. That run included 10 NCAA CHAMPIONSHIPS! Click here for more information on Jim.